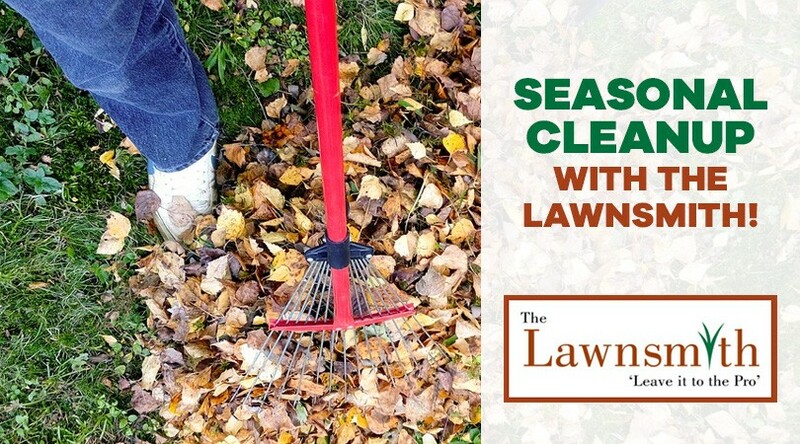 Seasonal Cleanup with the Lawnsmith! We just wrapped up a long winter, with our most recent blizzard behind us! Does your lawn show remnants of heavy snow, damage and thin patches? Not only does it look unattractive, it's likely also unhealthy. Fortunately, with nearly 30 years of experience in the lawn service industry, the Lawnsmith has handled hundreds of lawns in the St. Louis Park and Minneapolis area. We know that your lawn is important to you. What Types of Services Should I Get in the Spring? The Lawnsmith offers a Spring Clean Up service that includes a complete cleaning of your lawn, landscaped beds, and window wells. Our lawn care team utilizes metal rakes attached to our mowers for an initial light raking of the turf areas, followed by hand rakes, backpack blowers, and lawn mowers. The debris from the cleaning will be hauled away, leaving you with a clean, beautiful lawn. After your yard is cleaned up and ready, we suggest aeration services. May is an especially good time to consider aerating due to soil compaction from the winter. When compaction occurs, a build-up of thatch (organic debris) develops which may damage your turf. When aerating, The Lawnsmith punches holes approximately up to four inches deep to enable air movement and increase likelihood of nutrients (fertilizer, oxygen, sunlight, and water) getting to the root system. Once Your Lawn is Perfect, Continue the Care! We know you're busy. Families today are busier than ever with family events and activities, and often in spring and summer these are in full motion. By taking advantage of other lawn care services The Lawnsmith offers, you'll be able to enjoy your time in your home, with your family, without the worry and burden of yard maintenance. We even offer a free estimate so that you can see for yourself how economical it is to have our team provide the lawn services you need. It's easy to see that our lawn care services make it easy for you to not only be a great homeowner, but spend more time doing the things you love to do, with the people who share your life. You can expect excellent customer care from us. From estimates to follow-up visits, we make sure that our team of lawn care professionals will handle your lawn with the highest quality care.